We'll be leaving beautiful St. Petersburg* Monday afternoon. Our time here has been amazing. Wednesday Sam spent some time in The Hermitage museum. For this picture Sam used the feature on his iPhone camera called 'panorama'. This next picture is Rembrandt's "The Return of the Prodigal Son". Some people have called it the 'greatest picture ever painted'. Click HERE to read about it. The second section of that Wikipedia entry titled "The Reception" is particularly interesting, I think. 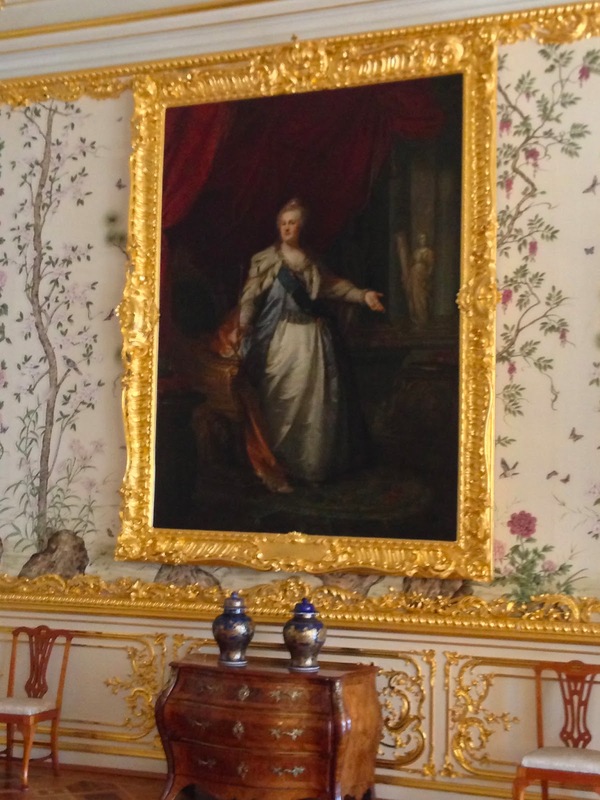 That last picture is of Catherine the Great. I have lots more pictures, but well, I'll save them for maybe another day. Different note: Today all the members of Sam's class (on "The Problem of Suffering as Addressed by Six World Religions") gave a seminar for the seminary and whomever wanted to attend. One or two students presented each religion with slides, and talks, then asked for questions, and Sam gave summaries before going to the next religion, and well, it was great! You can see Paulina is translating for Sam. Then Vladislav and Laresa presented Islam. Jura 1 and Jura 2 presented Judaism. And Oleg and Elena presented Christianity. Their pictures (the students) are on my May 28th's blog post. The seminar lasted all day (with a break for lunch) and about 50 people attended. Many questions were asked, and there was lots of discussion. Though I couldn't understand anything, except when Sam spoke, I could feel the atmosphere - and it felt exciting. "Christianity has to answer the question of why does a loving God allow good people to suffer? The atheist has to answer all the other questions. ... why is there good? So good! I'm sure you are sad to leave, but I'm really do have you back. I want to come read by the pool! I'm looking so forward to your coming and reading by the pool!!! And yes, it will be sad to say good-bye to these precious folks.